Gartner recently released its list of the top 10 technologies that will enable organizations to unlock the full potential of IoT in the next two years. The list includes an extensive range of new technologies and skills that many companies have yet to master, according to the Gartner report. "A recurring theme in the IoT space is the immaturity of technologies and services and of the vendors providing them,” says Nick Jones, Vice President and Distinguished Analyst at Gartner, in a statement. “Architecting for this immaturity and managing the risk it creates will be a key challenge for organizations. In many technology areas, lack of skills will also pose significant challenges." IoT technology introduces a wide range of new security risks and challenges to a network, so administrators have to consider the devices themselves, their operating systems and platforms, communications and the systems to which they are connected. According to Gartner, security technologies will be required to protect IoT devices and platforms from both information attacks and physical tampering, to encrypt their communications and to address challenges such as impersonating "things" or denial-of-sleep attacks that drain batteries. Businesses will use the information collected by IoT devices in many ways: to understand customer behavior, deliver services, track behavior and improve products. IoT demands new analytic approaches, tools and algorithms. Gartner notes that as data volumes increase through 2021, the needs of the IoT may diverge further from traditional analytics. Long-lived nontrivial devices will require management and monitoring. This includes device monitoring, firmware and software updates, diagnostics, crash analysis and reporting, physical management and security management. Device management tools will have to scale and be capable of managing and monitoring thousands—maybe millions—of devices. Selecting a wireless network for an IoT device is a balancing act of conflicting requirements: range, battery life, bandwidth, density, endpoint cost and operational cost. 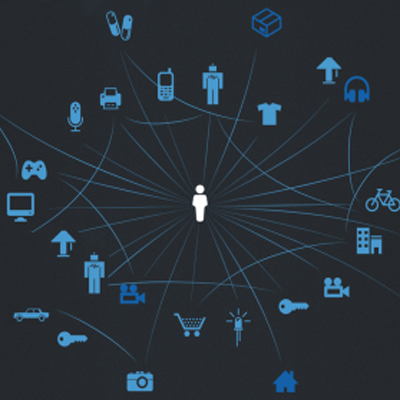 Gartner notes that low-power, short-range networks will dominate wireless IoT connectivity through 2025, far outnumbering connections using wide-area IoT networks. Commercial and technical trade-offs mean that many solutions will coexist, with no single dominant winner in the vendor ecosystem. The long-term goal of an IoT network is to deliver data rates from hundreds of bps to tens of kbps with nationwide coverage, a battery life of 10 years, an endpoint hardware cost of $5 and support for thousands of devices connected to a base station or its equivalent. The first low-power wide-area networks (LPWANs) were based on proprietary technologies. Gartner predicts that emerging standards such as Narrowband IoT (NB-IoT) will likely dominate this space. The processors and architectures used by IoT devices define their capabilities, such as whether they are capable of security and encryption, power consumption, whether they are sophisticated enough to support an OS, updatable firmware and embedded device management agents. Hardware design for IoT has complex trade-offs between features, hardware cost, software cost, software upgradability and understanding processors will demand deep technical skills. Windows and iOS were not designed for IoT applications, as they consume too much power, need fast processors, and in some cases, lack features such as guaranteed real-time response. They also have too large a memory footprint for small devices. A wide range of IoT-specific operating systems will be needed to suit different hardware footprints and feature requirements. IoT applications generate extremely high data rates that must be analyzed in real time. Systems creating tens of thousands of events per second are common, and millions of events per second can occur in some telecom and telemetry situations. To address data processing, distributed stream computing platforms (DSCPs) are needed. They use parallel architectures to process high-rate data streams to perform real-time analytics and pattern identification. IoT platforms bundle many of the infrastructure components of an IoT system into a single product. The services they deliver fall into three main categories: 1. low-level device control and operations such as communications, device monitoring and management, security and firmware updates; 2. IoT data acquisition, transformation and management; 3. IoT application development, including event-driven logic, application programming, visualization and analytics. Ecosystems and standards eventually evolve as APIs. Standards and their associated APIs will be essential, because IoT devices will need to interoperate and communicate, and many IoT business models will rely on sharing data between multiple devices and organizations. Gartner notes that many ecosystems will emerge, and commercial and technical battles between these ecosystems will dominate areas such as the smart home, the smart city and healthcare. Organizations creating products may have to develop variants to support multiple standards or ecosystems, and be prepared to update products during their life span as standards evolve. For more detailed information, visit Gartner’s Special Report “The Internet of Things” which looks at ways to roll out an IoT strategy.